Download Music Video titled ''Owo Gee'' By Olumide. L. Ogunduyilemi popularly known by his sage name, #Mide. The music audio was produced by Olumix and the video was directed by Dr Nell. Olumide. 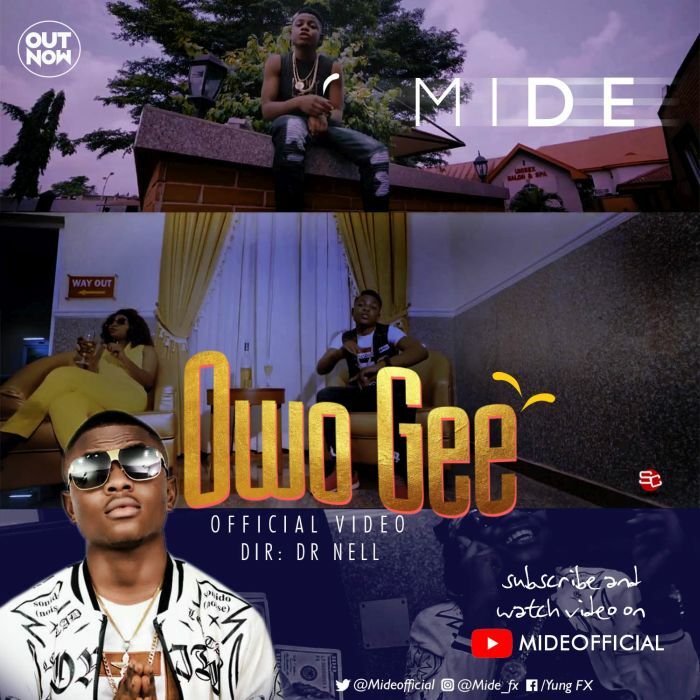 L . Ogunduyilemi popularly known as “Mide” is finally out with the visual of his song titled “Owo Gee” which was produced by Olumix. Mide is one of the best young talented artistes to watch out for. Check out this Video, you won’t be disappointed.